At BWS Standfast we offer high quality, cost effective fire safety systems, including detectors, alarms and emergency lighting to anywhere within 50 miles of Bristol. We currently serve over 9000 customers and offer a 100% satisfaction guarantee. Whether you are looking for a small domestic system or something for a larger home, house of multiple occupancy (HMO) or any kind of commercial premises, BWS Standfast have the solution you need. As well as new installations, we offer testing, maintenance, repairs and upgrades so you can be confident that your fire systems are in top working condition at all times. We also offer 24 hour remote monitoring via Redcare or Dual Com GPRS communicators, meaning your property is protected right around the clock. In need of a long lasting fire alarm? 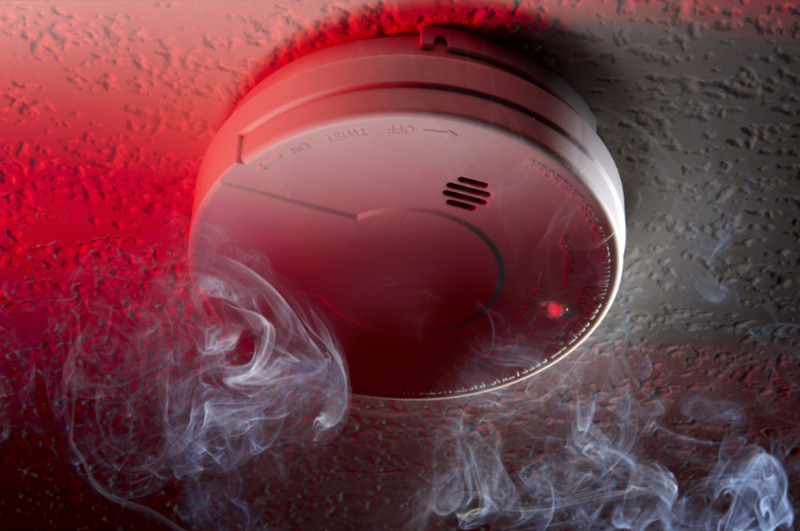 "We install, test and maintain a wide variety of smoke detectors, heat detectors and combined systems for both domestic and commercial properties." In the event of a fire, quickly and effectively alerting everyone on the premises is vital to ensure their safety. The sooner a fire is detected, the greater the chances are of it being contained to a small area, minimising the potential damage and health risk. Our fire alarms can be tailored to the exact needs of your home or business, including 24 hour remote monitoring and integration with door access control systems allowing doors to be automatically unlocked in the event of an alarm activation. The first step in preventing damage, injury or loss of life from fire is being able to effectively detect fires when they occur. We install, test and maintain a wide variety of smoke detectors, heat detectors and combined systems providing an effective first line of defence against all types of fires for both domestic and commercial properties. Our fire safety systems meet all the latest British and European standards. Our fire alarms comply with BS 5839 Part 1: 2002 and A2:2008 for commercial systems and BS 5839 Part 6: 2004 for residential systems. All of our emergency lighting systems comply with BS 5226 Part 1, 1998 & EN 60598-2-22. Ours systems can be designed to satisfy disability regulations for deaf and disabled people where required.